A snowboarder makes a powder storm of his own on Cypress Mountain. Snow is falling and ski hills are gearing up for the 2016/17 season all across the Lower Mainland. Nov. 25, 2016 6:00 a.m. The weather is getting colder and the Lower Mainland’s ever present rain is turning to snow on the ski hills. While only a few mountains have opened so far, everyone is gearing up to kick up some powder on the slopes! The site of the 2010 Olympics is gearing up for the season. Whistler half of the double mountain resort opened up for the 2016/17 season a day ahead of schedule on Wednesday, Nov. 23. 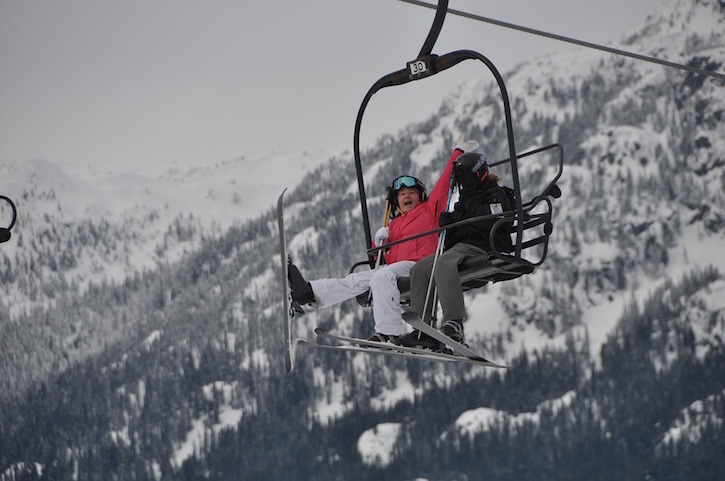 The Blackcomb side opened Thursday. Cypress Mountain had their opening day on Friday, Nov. 25 and are hoping to open up more runs as the snow continues to fall. Seymour Mountain doesn’t yet have an opening day but the ski hill’s staff are crossing their fingers. The snow is falling and runs are groomed at Grouse Mountain for their Nov. 26 opening day. The open chairlifts will be the Paradise Bowl with access via the Greenway Chair as well as Heaven’s Sake with access via the Peak Chair. Don’t ski or snowboard? The skating pond and Snowshoe Grind will also be opening tomorrow. Manning Park is opening up their Nordic skiing area on weekends starting from Saturday, Nov. 26 and opening up all week long from Dec. 3, snow permitting. Their alpine area is scheduled for Dec. 3 weekend open and a Dec. 16 weekday open. Hemlock Resort is hoping for a 2016/2017 season soft open with limited operations on Dec. 9 with tubing to start shortly after that.